As a Partner, Mr. Croxton is responsible for initiating, underwriting, structuring, closing, syndicating, and monitoring of investments for MMG Capital Partners. 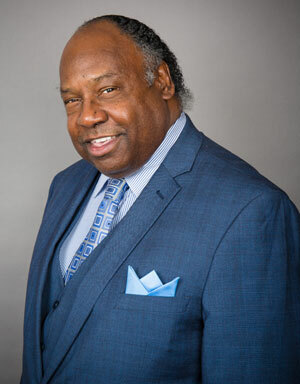 From 1989 to 1995, he served as Program Manager of the Maryland Small Business Development Financing Authority's (MSBDFA) Equity Participation Investment Program (EPIP). Under Mr. Croxton's direction, EPIP provided equity and debt financing to franchises, business acquisitions and technology-based businesses. From 1987 to 1989, he served as Vice President of Developing Systems Limited (DSL), an investment banking firm based in Washington, D.C. While with DSL, Mr. Croxton headed taxable and tax-exempt bonding for Maryland, Virginia and Pennsylvania, underwriting more than $90 million in real estate, equipment and permanent working capital financing. From 1981 to 1987, he was with the Baltimore Economic Development Corporation (BEDCO), the economic development agency for Baltimore City. During his progression to Senior Vice President in 1984, Mr. Croxton developed, obtained funding and administered four new city loan programs. He also developed the operating guidelines for BEDCO's Enterprise Development Fund, the first publicly funded venture capital program in Maryland. He has successfully structured public and private financing assistance for such well-known companies as Londontown Corporation and Parks Sausage Company. Prior to joining BEDCO, he spent seven years with Commercial Credit Business Loans, Inc. (CCBL), where as assistant regional manager he was responsible for the management of more than $45 million in asset-based loans. His present and past civic responsibilities include membership to the Product Development Committee of the National Association of Investment Companies, the Women and Minority Development Committee of the International Franchise Association, a loan committee member of the Baltimore Self Employment Fund and an Officer of the Board of Mid-Atlantic Business Finance Company, a certified development corporation. He received his bachelor’s degree from Morgan State University.